The Archive Digitization Application is a workflow management system which enable you to create a digital archive from your archival holdings compatible with other archives, applying internationally recognized archival standards. How much does ADA cost? 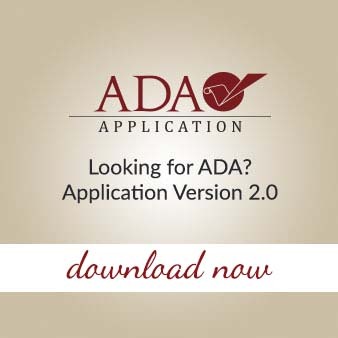 You can download the latest version of ADA from the download section FREE OF CHARGE. Some other services (like... training, custom implementations, or hosting solutions) can generate some costs. Detailed specifications for a Drupal 7 installation can be found here. I am having trouble with installation. Where can I find the help? Please follow the installation steps available with the download. If you still have trouble, please fill out the contact form. How can I help improve the ADA solution?